Feel free to take this watch outside in all kinds of weather. 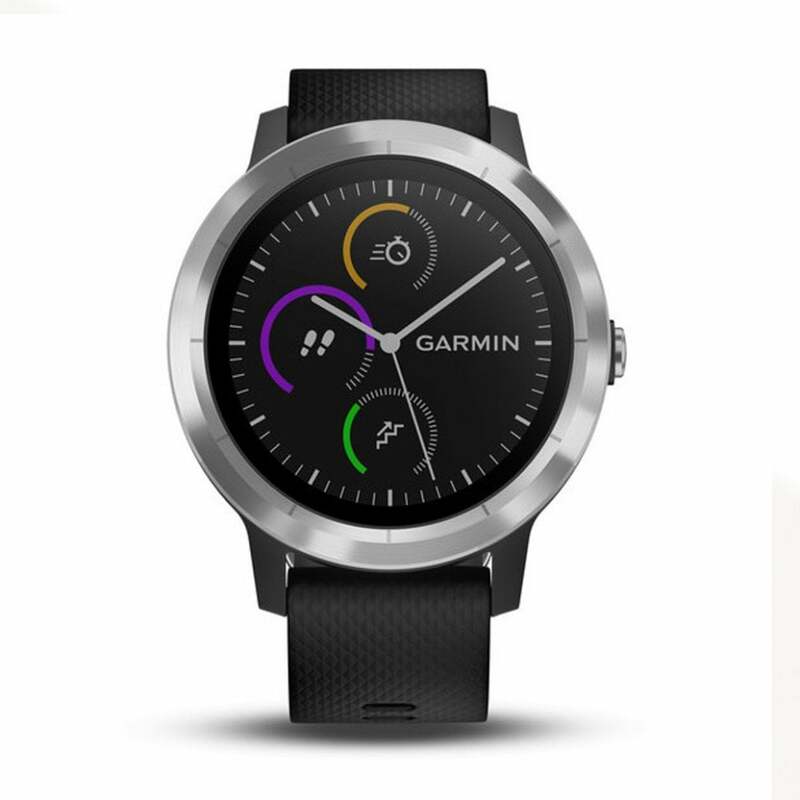 Not only is it safe for swimming and showering, its Garmin Chroma Display is easy to read — even in direct sunlight — and housed under extra-durable glass. It also features the Side Swipe™ interface, which makes for quick scrolling and swift navigation of menus and widgets. Whether you scroll with your thumb or index finger, you can choose how to wear it. Comfortable, convenient and easy to see — vivoactive 3 just fits.